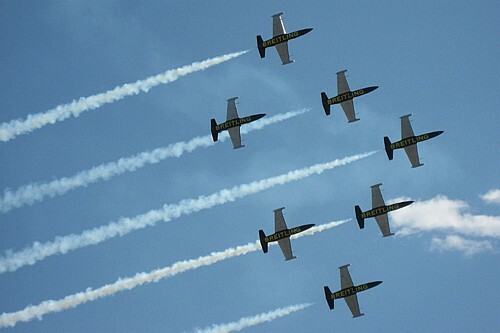 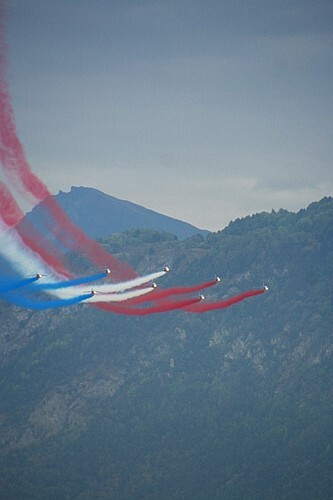 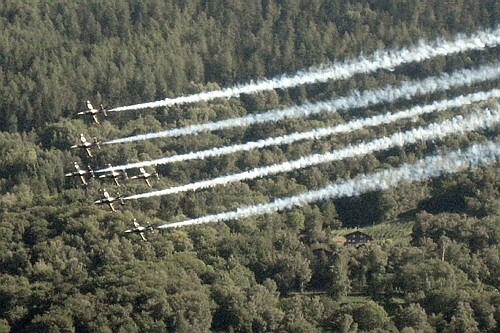 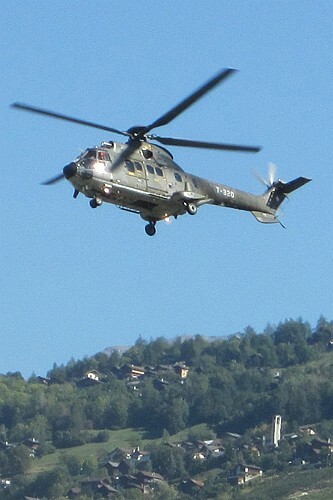 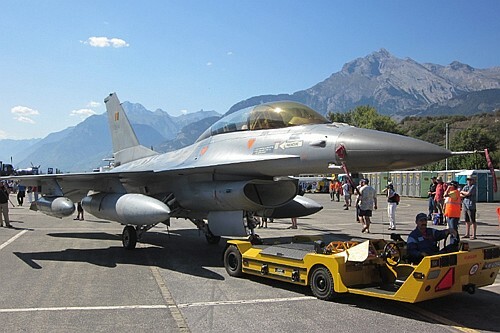 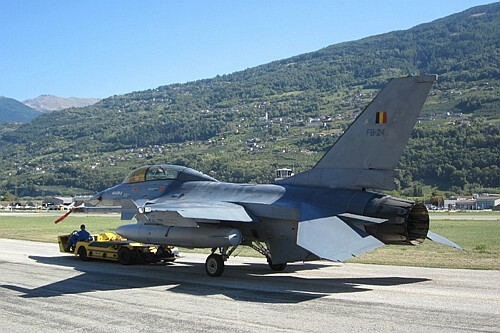 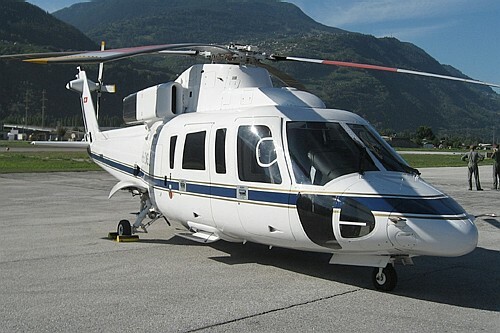 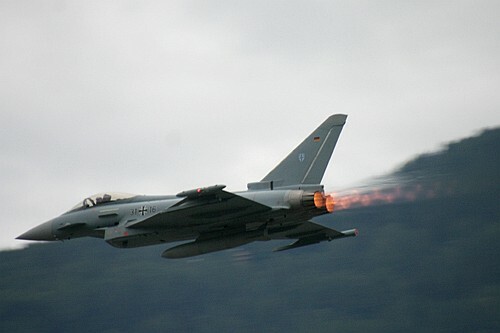 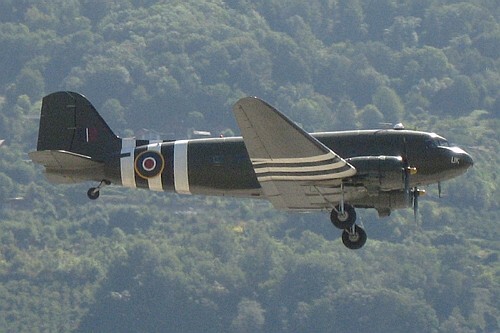 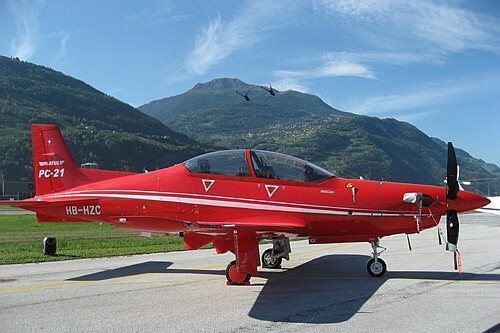 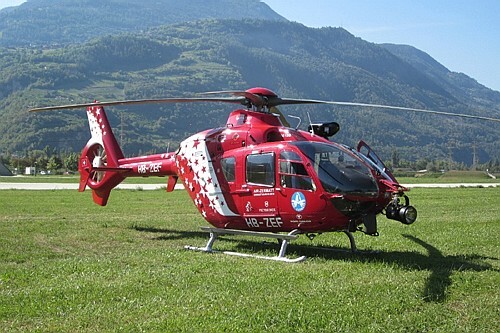 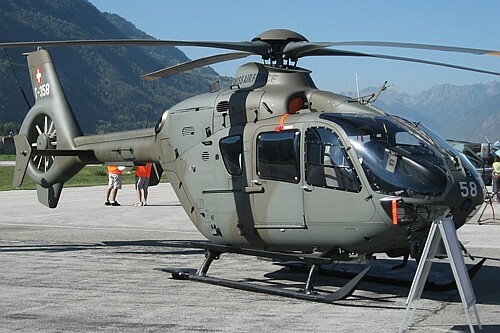 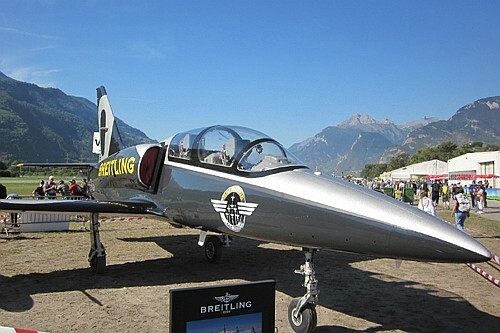 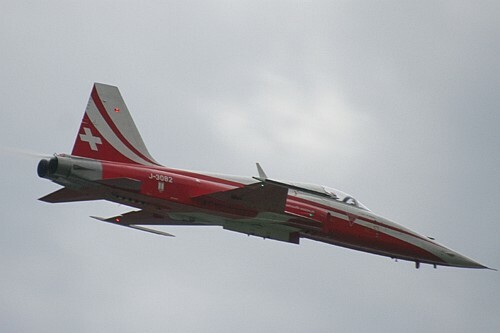 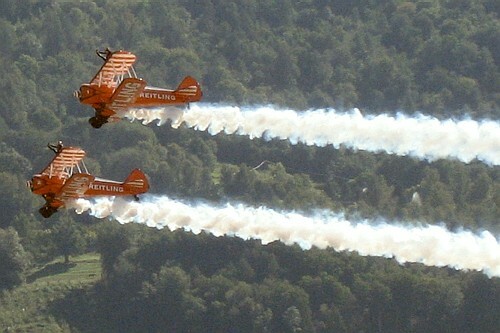 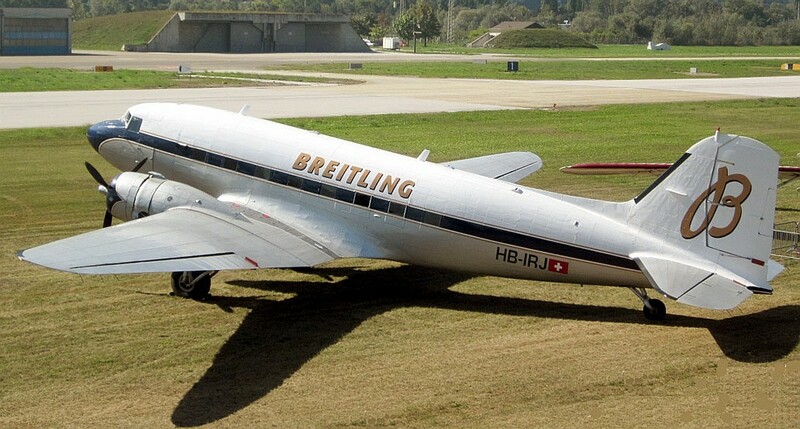 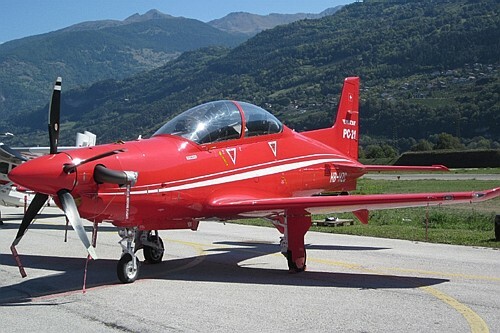 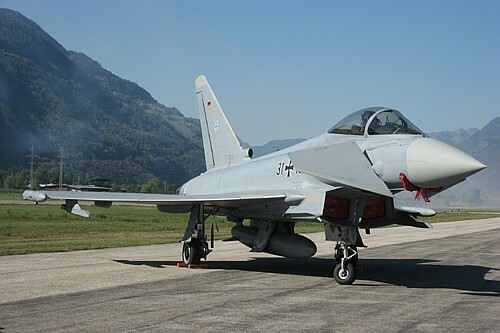 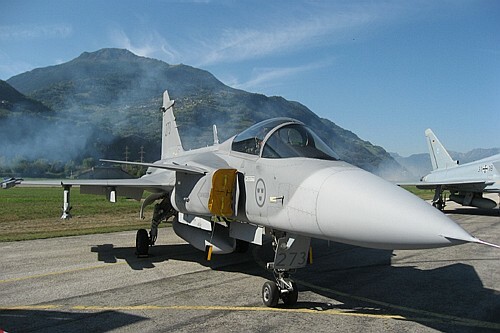 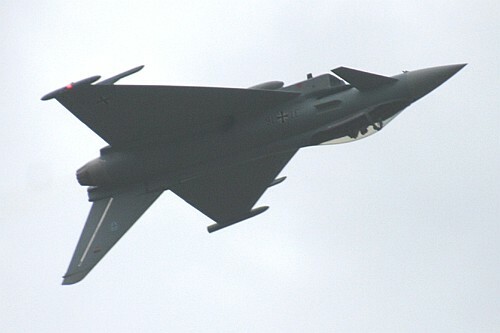 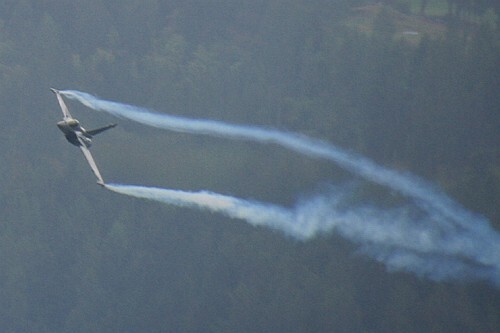 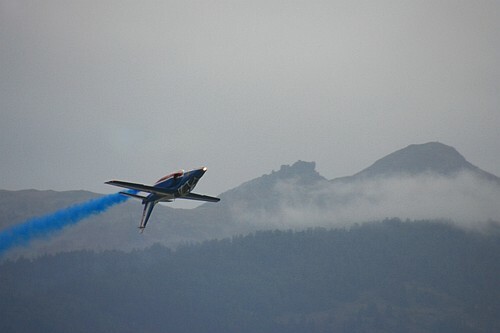 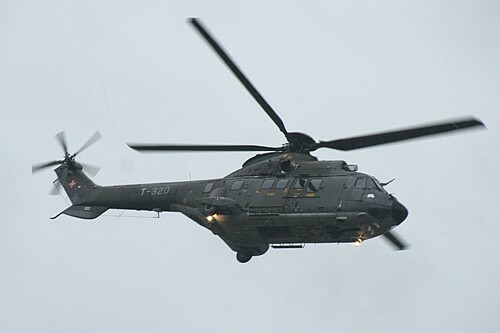 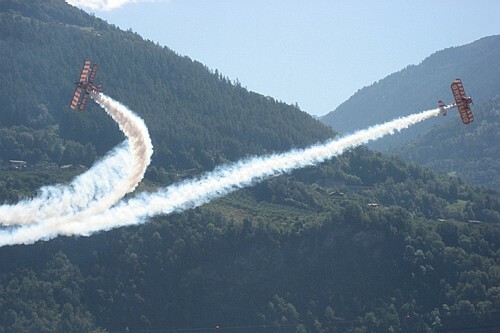 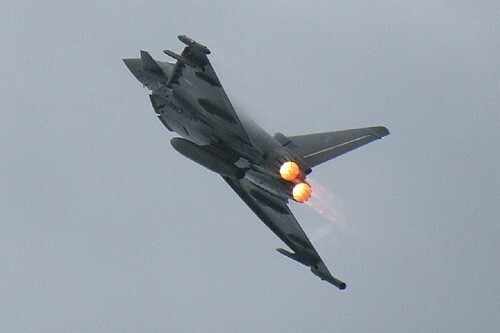 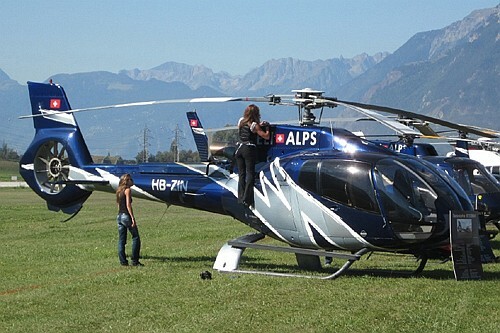 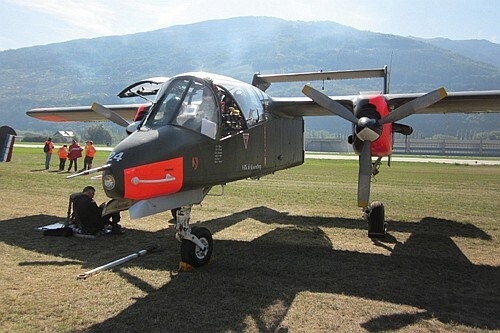 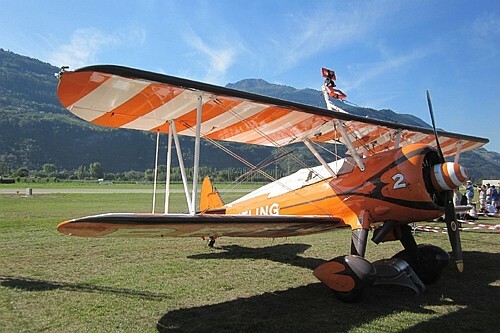 Sion Breitling airshow was the most important air fair of Switzerland in 2011. 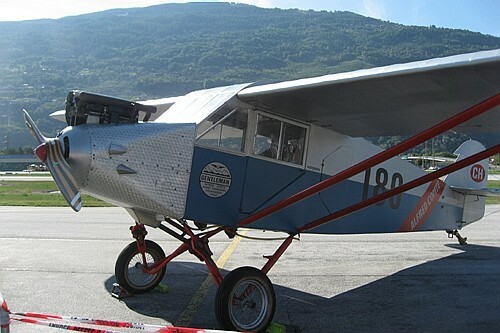 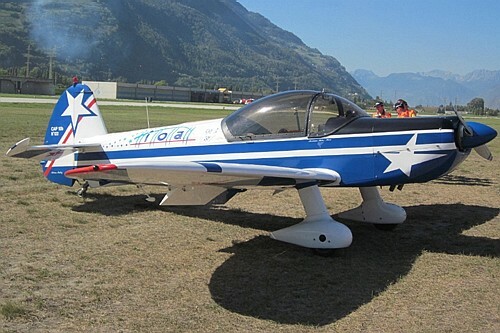 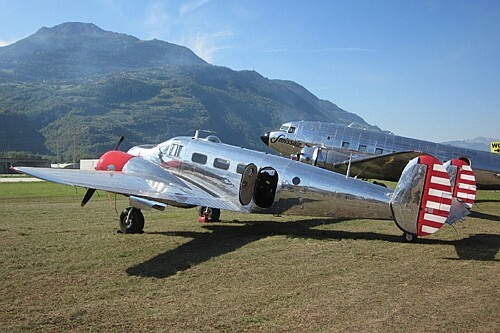 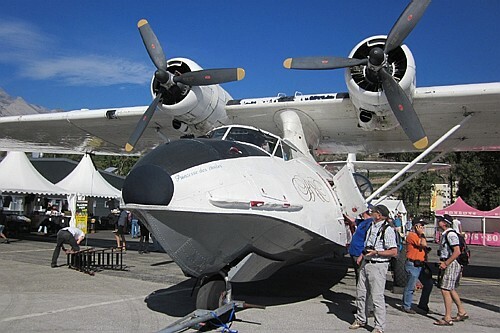 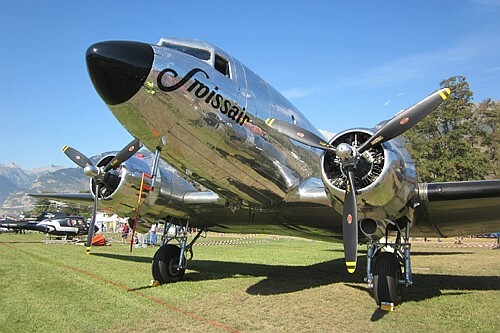 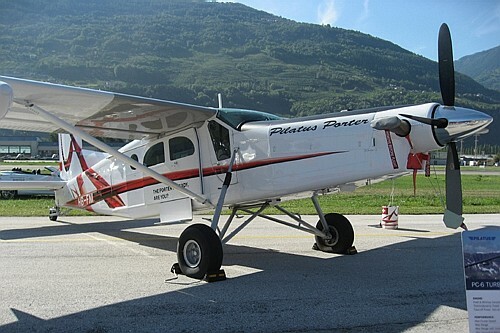 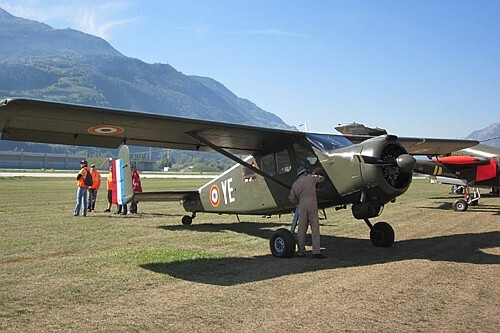 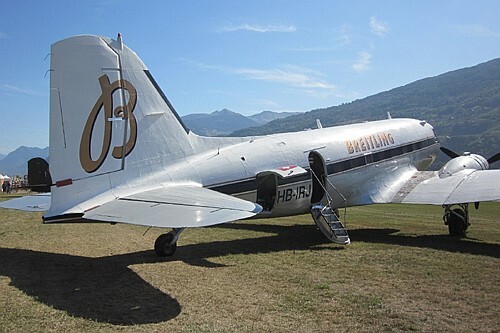 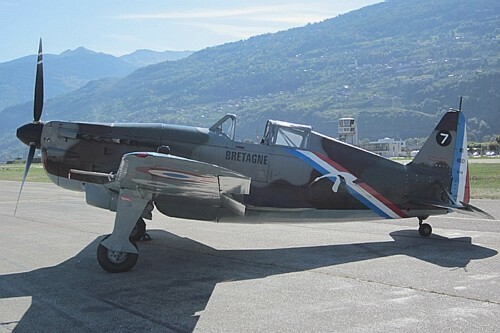 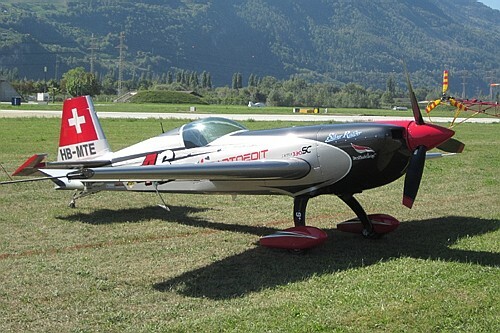 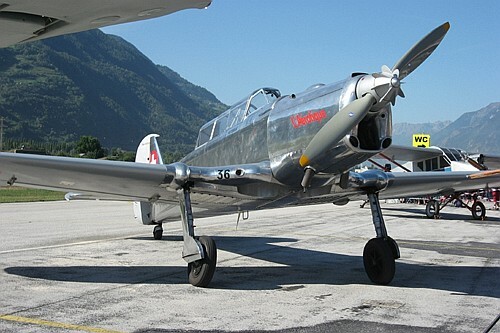 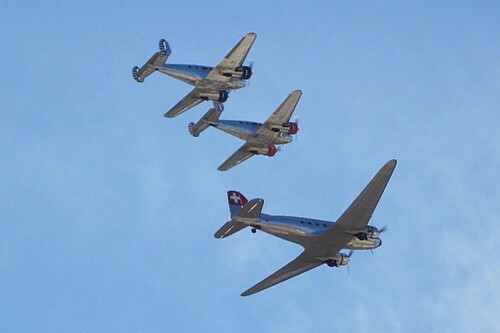 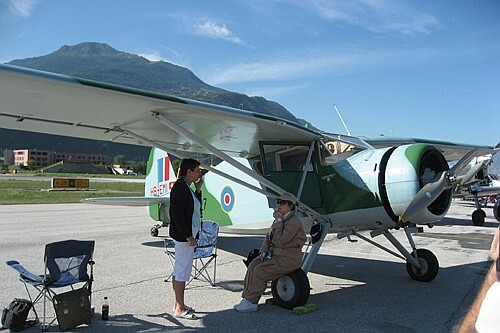 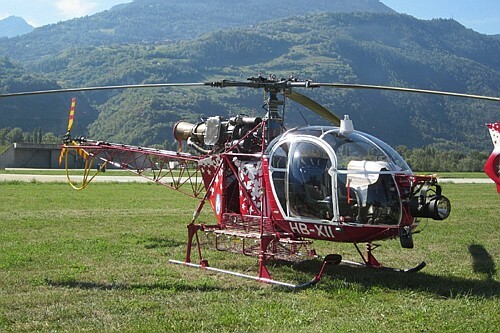 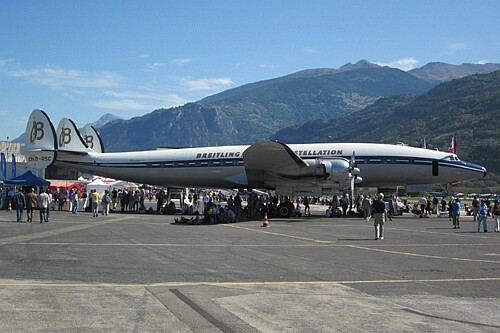 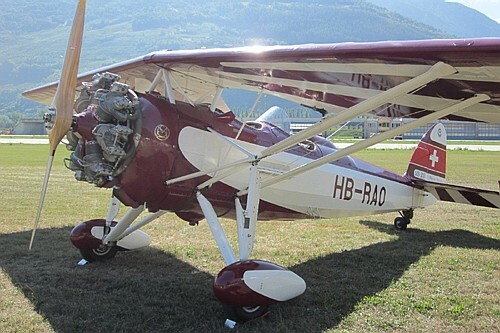 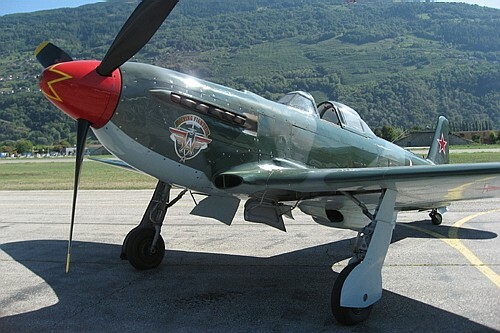 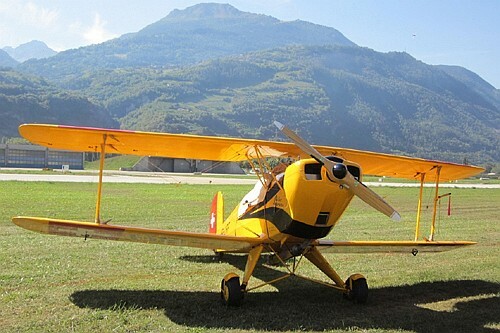 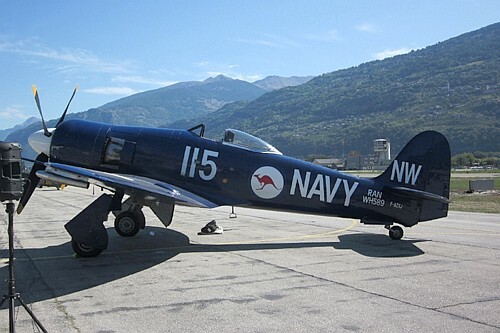 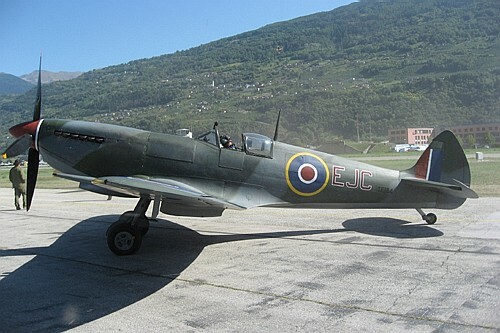 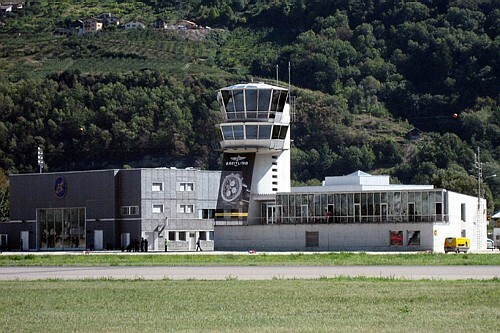 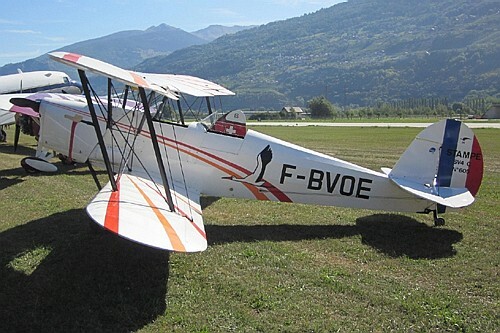 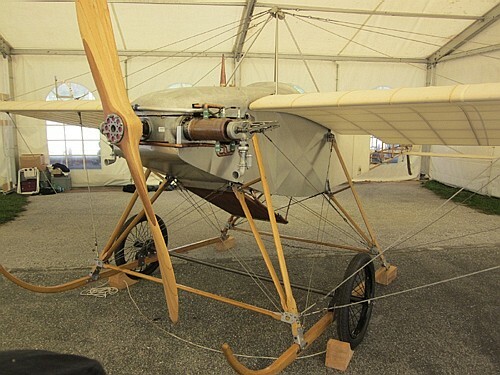 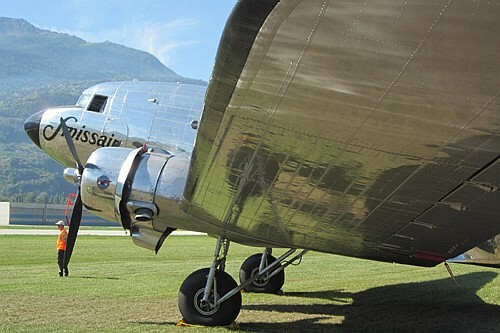 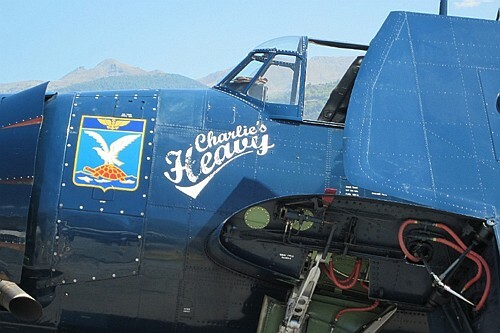 The event held from 16th until 18th September was organized to underline the 75 years of the "Valais aeroclub" and the international character of Sion airport was the reason to organize this event there. 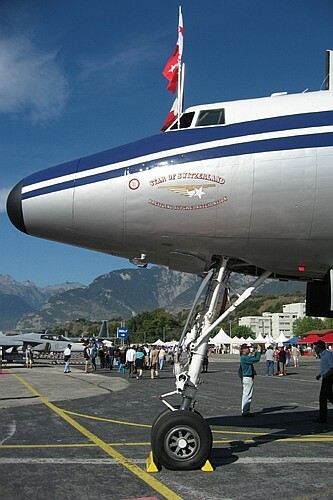 The main organization was performed by the well know Swiss chronograph company and around the airport the publicity for this top watch maker was quite visible. 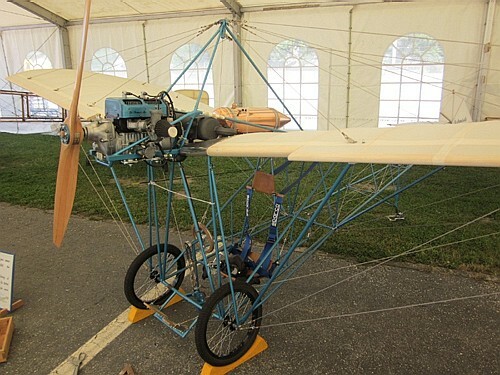 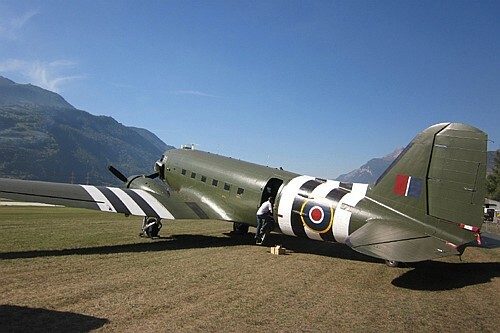 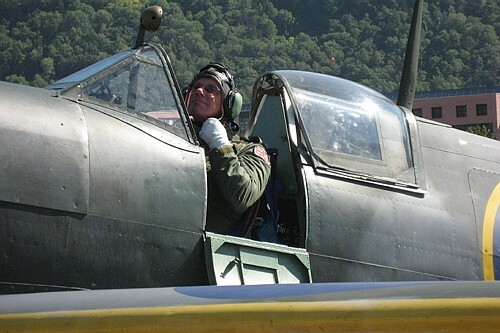 The program was chosen to present a mix of old flying machine with piston engines, new generation jet fighter, smooth gliders, rotary wings, hot air balloon, jet man from civil and military horizon. 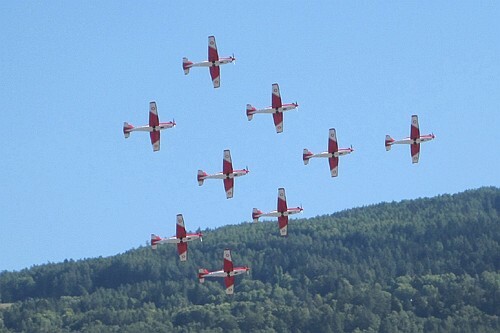 Big news in airshow world, the organizer had also set a conduct line taking care of the ecology, calculating the presentations to have as less as possible greenhouse gas effect. 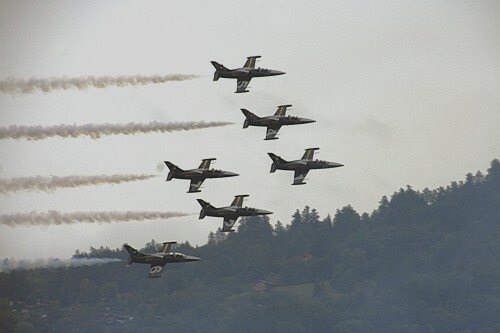 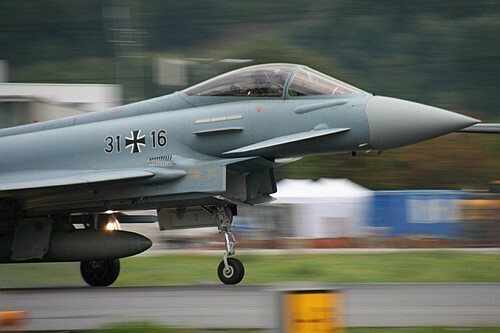 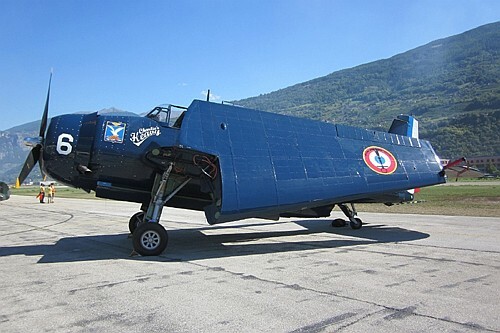 All the conditions were present to make from this event an exceptional airshow, except...the weather more than capricious on Saturday and Sunday avoiding the fair weather demonstrations of the aerobatic teams and other powerful jets. 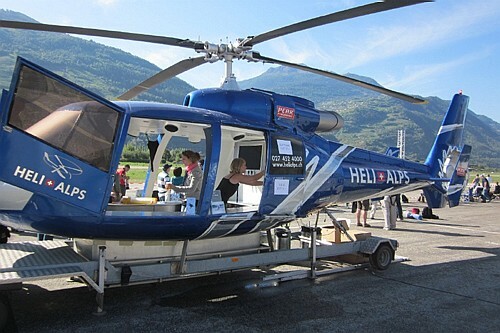 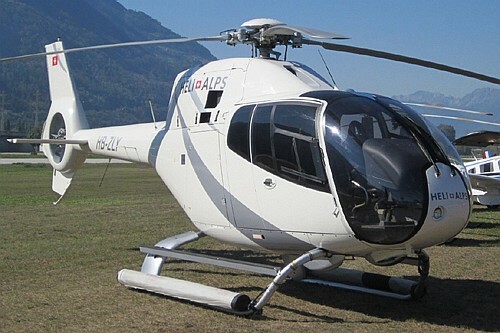 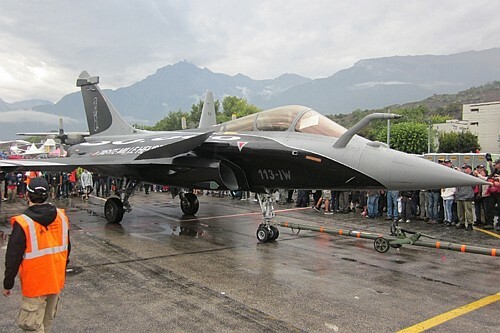 Despite the weather, some 63.000 visitors came to the Valais capital airport to admire the demonstration and so contribute to the success of this event. 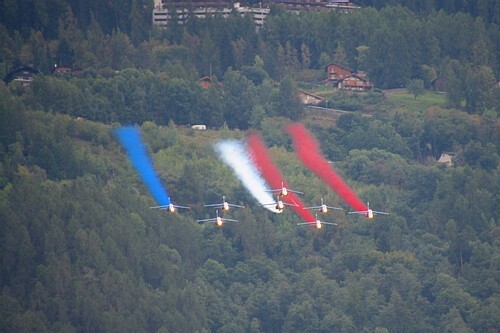 Guy Liesse propose a pictorial overview of this event, mostly taken on Friday in good weather conditions and some of Saturday to underline the difference...enjoy your visit in the Valais area. 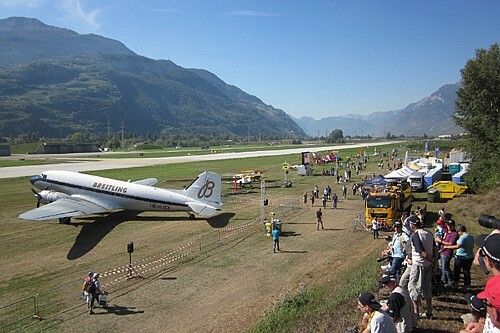 A verry special and pleasant bar ! 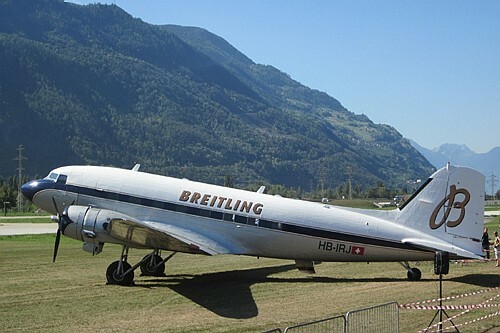 Hawker Sea Fury FB Mk.11 Faichild UC-61A "Argus"
Douglas DC-3A One more Breitling preservation ! 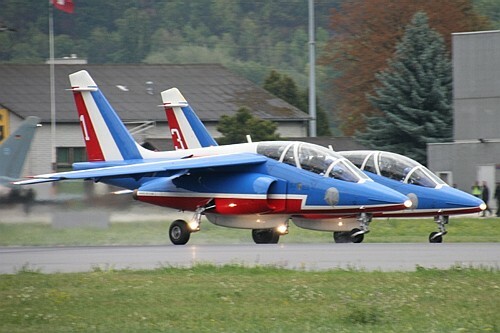 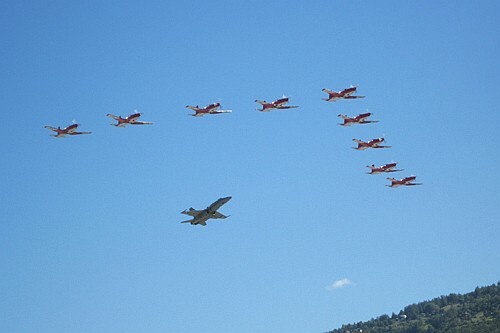 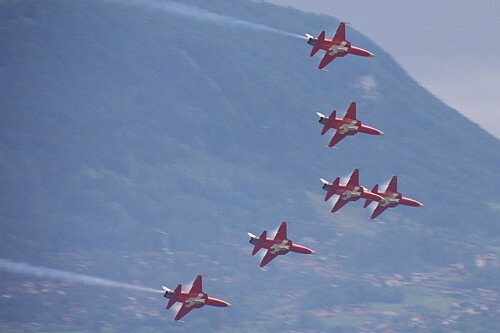 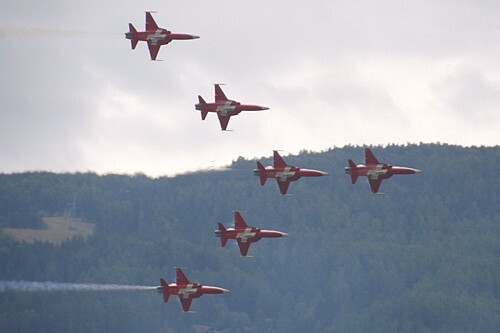 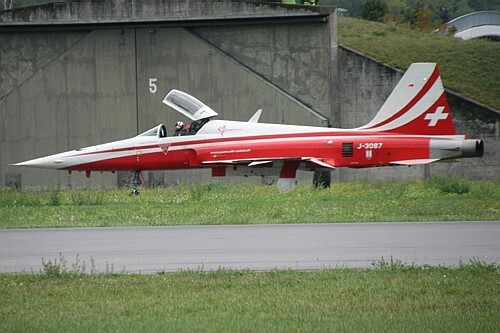 The Swiss national team : "Patrouille Suisse"